The All India Gurung Tamu Buddhist Association (AIGTBA) today took out a rally in Darjeeling ostensibly to thank chief minister Mamata Banerjee for announcing a development board for Gurungs, but in effect, to lay claim to run the body. The association is at loggerheads with the rival claimant to the board, Gurung Kalyan Sanskritik Sangathan (GKSS). Both the organisations claim that the vast majority of the one lakh-odd Gurungs spread across the hills are with them and they should be given the opportunity to form the governing body of the Gurung board. The chief minister had announced the board during her visit to the hills last month. About 1,000 members of the association took out a rally from the Motor Stand in Darjeeling to Chowrasta, the town's main promenade, celebrating the formation of the board. The Sangathan, on the other hand, had staged a similar rally in Kalimpong on January 27, five days after the board had been announced. Addressing the Chowrasta rally, Anand Gurung, the president of the association, said the entire Gurung community was grateful to Mamata for forming the board and his organisation should be given the opportunity to form the governing body. "After careful considerations, we have recommended the name of Khagendra Gurung for the post of the chairman of the board. He is the most capable person to run the board. Others are laying claim to form the board, but we are the largest organisation of the Gurungs spread across the country and we deserve to form the board," Anand said. Khagendra Gurung is the executive member of the association's central committee. The president of the Sangathan, Pamu Gurung, however, claimed that it was his organisation that had spearheaded the campaign for the board and Anand Gurung's association was trying to take credit only for the greed of the chair. "It was the AIGTBA that had opposed us when we had campaigned for the board across the entire hills. Now that the board has been announced by the honourable chief minister, it is claiming credit only for the sake of the chair. 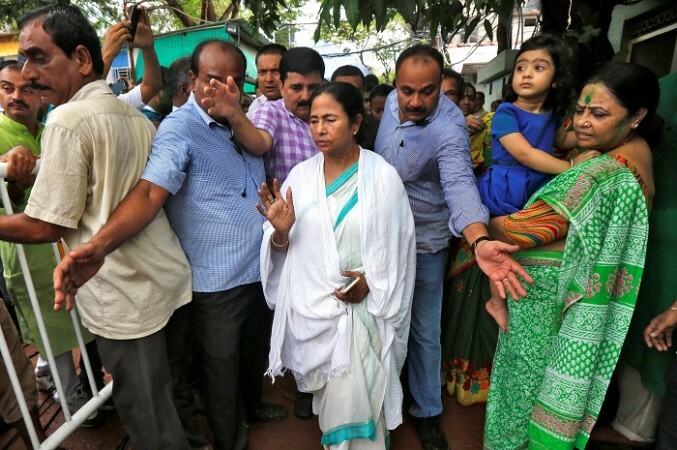 We are, however, confident that the chief minister is aware of the entire situation and she will eventually take the right decision," Pamu told The Telegraph. Members of the Sangathan want Pamu to be named the chairman. "Yes, our members want me to be the chairman. Look, anyone can lay claim to form the board, but eventually the right decision has to be taken. We have and will continue to work for the larger good of our community," he said.